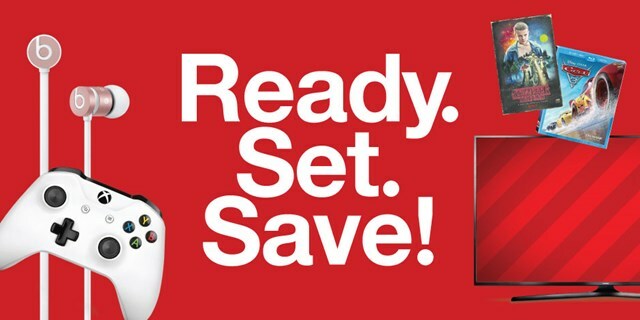 Target is rolling out Weekend Deals with deep savings in November and December – and this weekend is no different. This Saturday, Nov. 18 and Sunday, Nov. 19, Target will be offering guests 25% off toys and 15% off TVs in stores and online just in time for holiday shopping. No codes or coupons needed! Savings are automatic! · Saturday, Nov. 18 only, it’s our biggest toy sale of the year. Save 25% on toys (excluding LEGO, Cards Against Humanity, Joking Hazard game, Exploding Kittens, WellieWishers, Barbie Dream Camper, Barbie Dreamhouse, Hot Wheels Super Ultimate Garage and Kamigami). 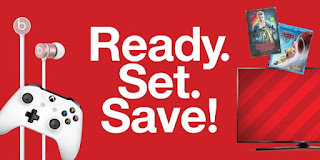 · Sunday, Nov. 19 only, take 15% off TVs (excluding LG OLED TVs)—our best deal on the largest selection of TVs all season long! More Weekend Deals will be announced throughout the season, and will be highlighted starting Wednesday before the deal is available that weekend. Guests can visit Target’s A Bullseye View to learn about upcoming Weekend Deals each week. Also visit Target.com to learn more about what’s happening in select stores this holiday season.